An artist’s rendering of the interplanetary lander concept. Credit: Autodesk Inc.
Software company Autodesk has collaborated with Nasa’s Jet Propulsion Laboratory to find new ways to develop an interplanetary lander concept. The partnership has already developed a concept lander using Autodesk’s generative design technology, which uses machine intelligence and cloud computing to quickly generate multiple design solutions. 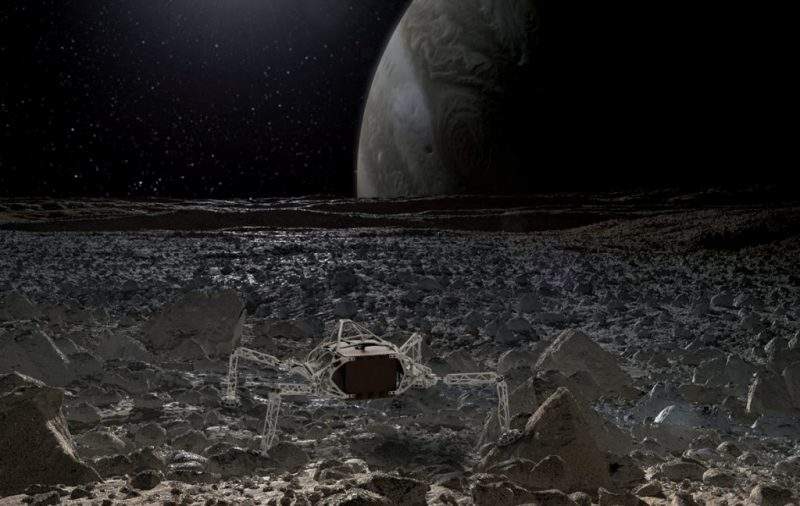 The lander could potentially be used to search signs of life on the moons of Saturn and Jupiter. It is also expected to overcome design and engineering challenges while covering the vast distances during trips to the two planets. The fully assembled version of the lander measures around 2.5m-across and 1m in height. Autodesk industry research senior director said: “We had developed a custom version of our software for high-performance motorsports that enabled us to help our customers solve for multiple constraints at once. “We then applied it to the problems JPL needed to consider. As part of the lander project, JPL used Autodesk’s experimental generative design technology to create several structural components such as the internal structure that holds the scientific instruments, as well as the external structure that connects the lander legs to the main payload box. The JPL team has been able to reduce the mass of the external structure by 35% compared with the baseline design of the lander. Autodesk has unveiled the lander at an event held at Autodesk University in Las Vegas, US.